Today is an exciting day and I am starting out good: I had at least a few hours rest and I am in perfect shape to face whatsoever the day will throw at us! Because of a later start today, we will not be able to hike on the Tongariro Crossing and travel into the realm of Mordor….I guess that the meeting with Lord Sauron must be postponed. Yet, most of us want to go, so we decided to split the Tongariro hikers into two groups: “the runners,” ready to march nonstop, and the science/education group, who will engage students and teachers with science and exploration activities on a much shorter hike across the lave flow field. Due to safety reasons, Julian, our fearless trip leader, went with the first group. The second group lead by Katy Hodgson, our geologist and science teacher, David Willson (NASA Ames), and I led the science exploration activity, which further split in 2 smaller groups. Our Mission: exploring the lava flow area, determining the relative age of the lava flow based on observation of vegetation density. Very soon we started to mingle and have fun in learning the basic methods to achieve our objectives. As novel Spaceward bounders, all possible observations were made, “how to do best” questions were asked and problems discussed. 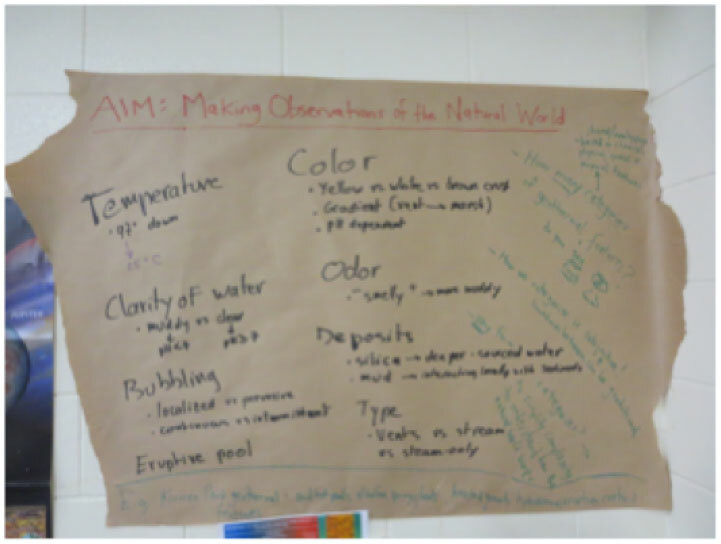 An interesting activity I came up with was “Is it biology, or geology?” a science challenge where everyone had to bet on the real nature of biological and abiological features we randomly analyzed. The winners will get two SETI and NASA stickers…. Long story short, we accomplished our mission, learned a lot of “stuff,” and ended up with many more questions than we started with! I can say that our young space explorers are the youngest ever and most curious group I’ve met in past space bound expeditions. They are getting a tasty taste of what a Curiosity mission means. 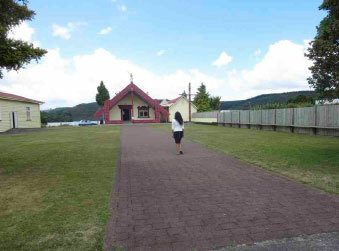 We returned to the marae around 9pm tired and with some more people hit by the flu. 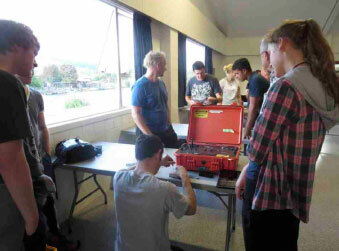 We had another group that made mini-rover demonstrations open to the local Maori community. Back to the marae, we met several kids hanging with Matt Reyes, who showed the quadricopter and building real mini-rover models. This has been certainly an exciting day. 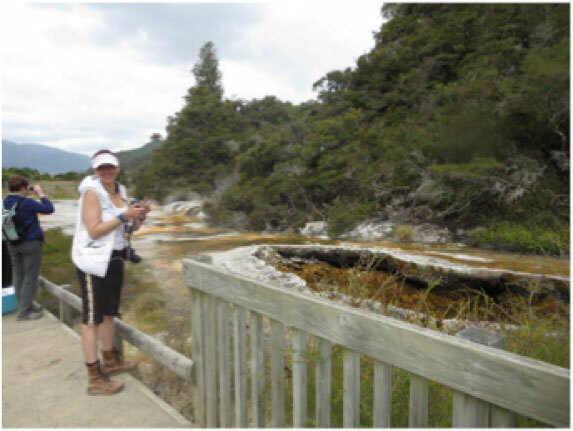 Tomorrow we will go with Kathleen Campbell and her former student Nora Ward (Auckland, NZ Plant and Food research) to sample the amazing Parariki Spring, a.k.a. the Mars Flat. This will be an exciting science and technology-driven exercise….So, please stay tuned with us! 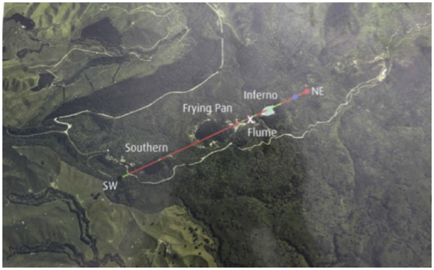 Left: Tongariro Crossing trail (left). The Tongariro complex includes several craters still volcanically active today. The last explosion occurred in 2013. Random eruptions also occurred in 1995 and 1996. 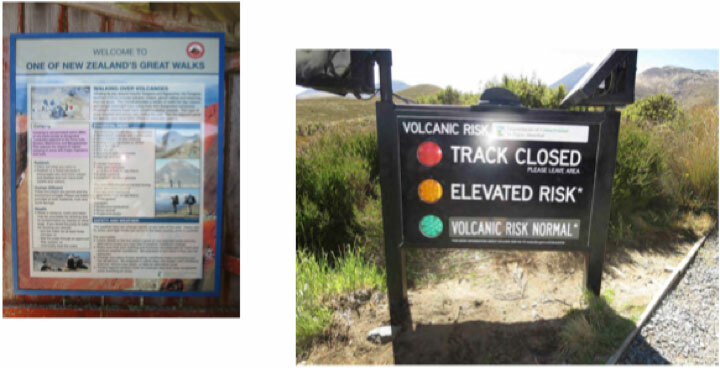 Right: Continuous monitoring of volcanic activity status. Left: Tongariro trail. Julian (GNS education office) giving a safety and planning briefing on team assignments, which is, in our case, determining the relative age of lava flows based on density of vegetated ground. 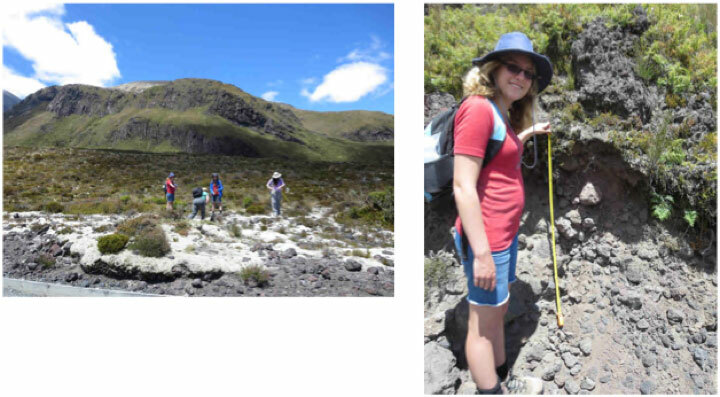 Right: First intense field sampling exercise where we practiced techniques for estimating cover and diversity of vegetation colonizing lava flows. We also discussed other factors such as soil depth, topography and density of lichens colonizing exposed rocks. 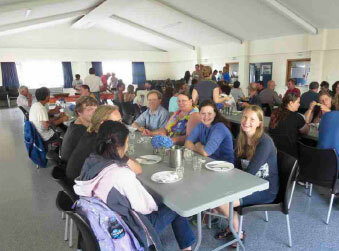 Nationwide NZ high school students (Anna, Michelle, Melissa) and teachers e.g., Nicola from Auckland. Lunch break following our first exercise in the field. Left to right Melissa, Michelle, Anna, and Nicola. It’s biology or geology? 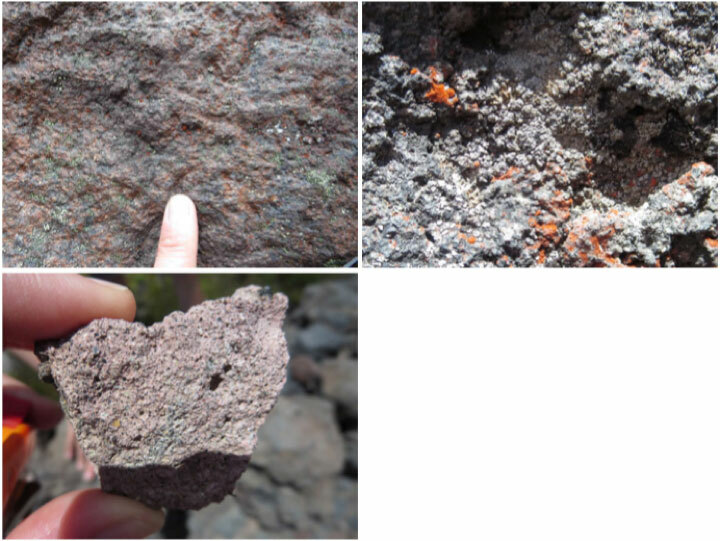 Top left: In the lichen-colonized lava flows, we observed bright red lichens coexist with bright spots of red hematite mineral. They may appear undistinguishable. If a rover on Mars could image similar features, it may be difficult to distinguish between life and non-life based only on color, morphology, and distribution pattern. 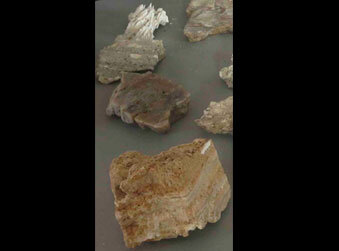 Top right: A closer look allows us to better resolve biological and mineral elements in the terrestrial rock. Bottom left. Example of rock with colored minerals. 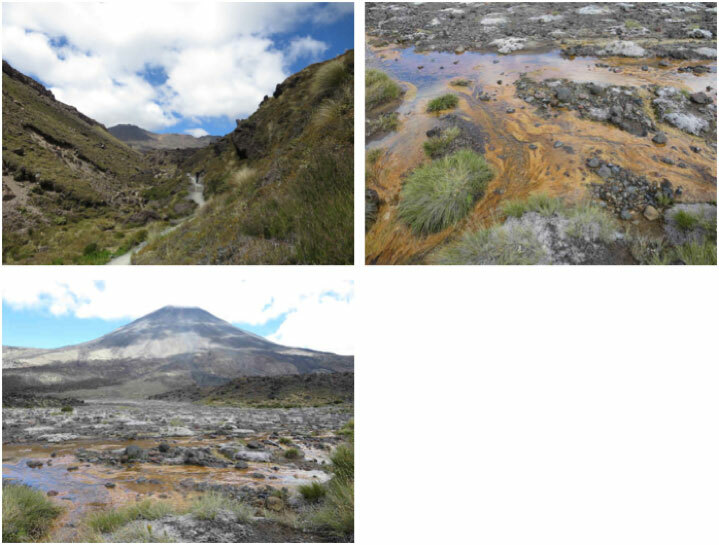 Left to right top: Tongariro trail with tabular lava flows on the left and scoriaceous lava on the right. Colorful filamentous biomass in cold stream flood plane. 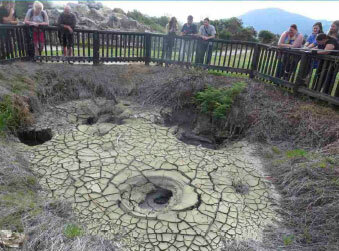 After a few hours of overnight rest and a comforting breakfast we left the marae to visit the Waimangu Volcanic Valley, a unique hydrothermal setting formed by violent eruptions, in 1886, 1900-1904, and 1917, and still active today. Along the way we could see a palette of colors from the combined action of biology and geology. Along the margin of the streams brightly colored blue green algae, cyanobacteria, and other heat-loving microbes enjoy their existence at temperatures exceeding 50-80 C. More colors orange, red, brown, white and yellow results from mineral deposition and high temperature weathering of volcanic materials. 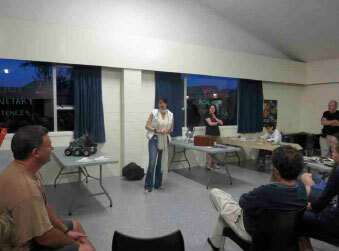 We returned to the marae around 6pm and gathered for lectures and discussion topics in a number of working groups: 1. Life in the extremes, 2 Planetary environments, Planetary Protection, exploration of Moon and Mars, Robotics and technology, and art and culture. The robotic group has been involving local Maori kids, which are super curios to learn on about anything we do. Tomorrow, several kids from the surrounding marae will be visiting us! Last but not least, we are planning for the field trip to Tongariro Volanics, aka Tongariro Crossing, better know as “Mordor” of the Lord of the Ring. Map of hot spring Waimangu trail showing the main sites we visited during this trip. 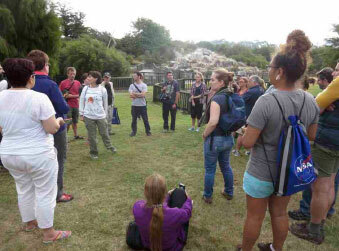 Left: Haritina Mogusanu documenting Kathleen Campbell (left) giving a brush up lecture at the Frying Pan Lake lookout. Kath provided us with a visual ecology primer: basically how we can use the color of microbial mat and background mineral environment to infer the associated range of temperatures. Gray (100 ºC to 80 ºC), orange to green colors (94ºC to 60 ºC), and brown color (45 ºC to ambient). Right: Example of early silicification by opal A microspheres hiding the microbiological component, with green cyanobacteria still visible underneath. Silica sinters are exposed (subearial) hot spring deposits formed by the precipitation of minerals during cooling and litterally mummyfying alive bacteria and other organisms living in the neighborood. 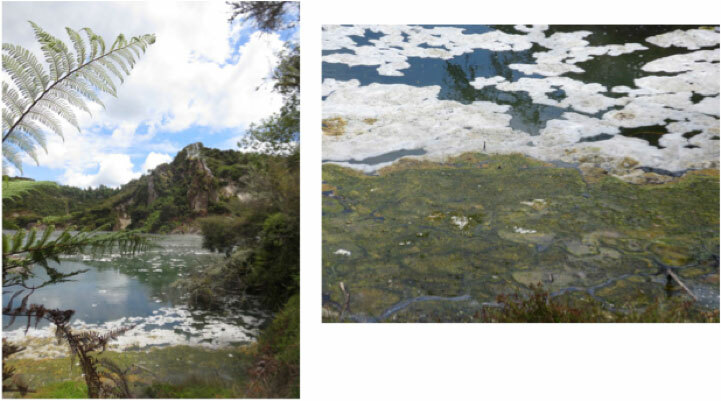 Left to right: More views of Frying pan lake, Cathedral steaming rock and spots of hot water bubbling the processes release variable amounts of hydrogen sulfide (H2S) and carbon dioxide (CO2) gas depending on water pH. 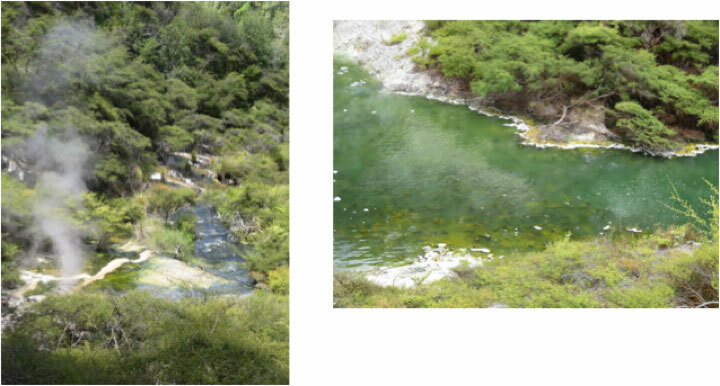 Top left: Hot water creek along Waimangu trail. 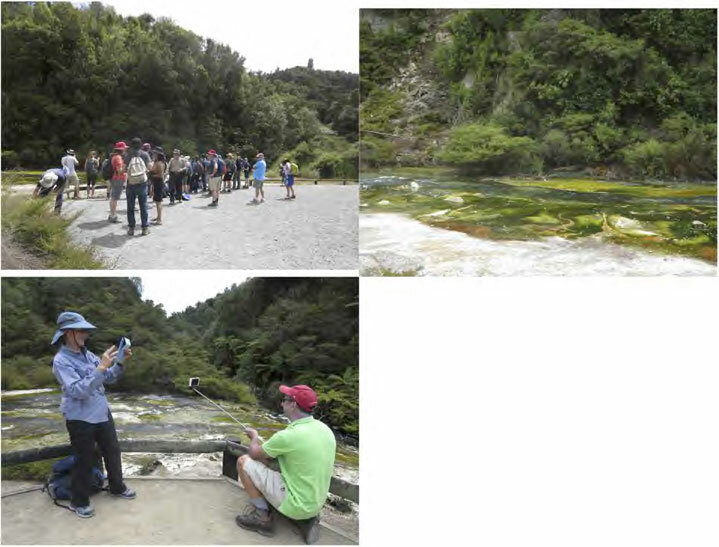 More lectures on hot spring and orange and dominating green colors suggesting temperature closer to 60 ºC (Top right). I am taking a picture of Carol Stoker, taking a picture of a teacher taking a selfie. Annalea (not in this pictur), is also taking a picture of me taking pictures! Left to right: Steve from Mars Society of Australia deploying Junior the rover and testing spectral imaging of sinters and photosynthetic biomass along the margin of the stream. The rise of tadpoles: Tadpoles at Warbrick terrace taking advantage of a decreased temperature in the pool. Kia Ora! Finally, we left Auckland and reached our destination by riding on a bus for about about 3 hours. 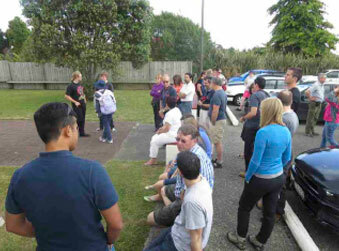 Once we arrived, we attended a welcome ceremony, had our first lunch and left for our fist experience at Kuirau Park Rotorua. 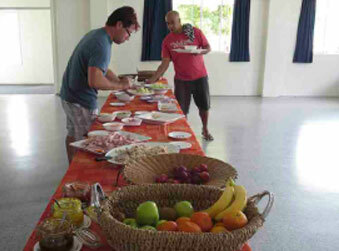 Then we returned to the marae and organized different groups and activities. So much to do, so much to learn. Here is image gallery showing what we did. Click each image to read the full description. 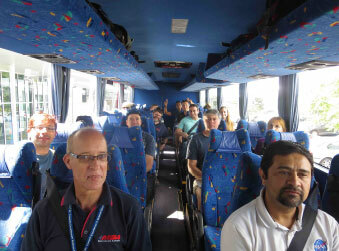 Riding the bus with old and new SB friends en route Rotorua. Starting ceremony where a woman announced the visit and led the guest into the building. 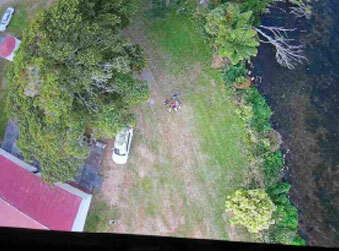 Aerial view of the marae. Kate explaining to new space explorers nuts and bolts of field observation practices and objectives. 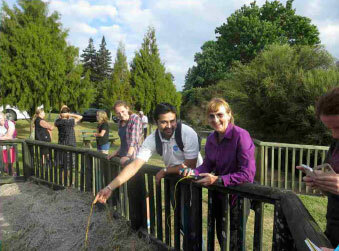 Parag (JPL) and Carol Stoker (NASA Ames) getting temperature information of individual mud ponds. Desiccating mud cracks covered by a patina of Sulfur-rich bright yellow mineral. 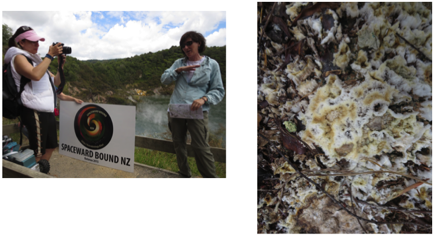 Kate’s favorite collection of siliceous materials form hot spring deposits. Structures are formed by mineralized microbial mats that preserve indicators of the hydrological features existing at the time of microbial growth. 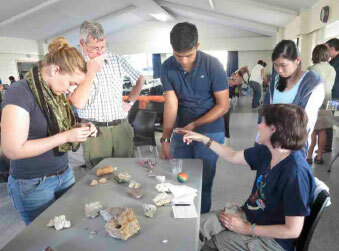 Eldar Noe-Dobrea showing how to identify the mineral composition of field samples with his Chemin Terra instrument. Terra is the field version of the flight Chemin instrument used by the Mars Science Laboratory Curiosity rover in Gale Crater on Mars. Matt Reyes, Sanjoy Som and a quadricopter drone for remote investigation. Haritina Mogusanu, the fantastic creator of SpacwardBound New Zealand, brainstorming on plans for next days. This is my first trip to Oceania: the most watery continent of our planet. Just look at the globe from this perspective and you’ll see a whole water planet…Just a thought: how many watery exoplanets are out there? Will we ever be able to flyover them on day in the distant future? I’m flying over the Pacific, and just watching out of my window now. Amazing, a fairy landscape captures my mind wandering in wonders. I am lost in it. Towers and pillar-like clouds rise from the shiny surface of the water…to return somewhere a bit farther over the ocean into the water as rain. I am witnessing the very beginning of the perennial water cycle on the go: evaporation from the ocean. My goodness, where is my camera when I need it? It’s sunset now: we are just three hours away from kiwi land! Lets go! I finally made my way to the San Jose airport after an ordeal of 24/7 tasks to get ready for this trip. Looking forward to boarding the plane at the gate. I am so excited! Once onboard, I can take a nap! Wait a moment: I hear something disturbing. 4:30 PM – My first flight segment with a stop in LA has just been canceled. Canceled? Oh Yeah! A not-so-happy crowd of fellow passengers joins me in disappointment and wait to see what’s next. My destiny is soon clear, I am stuck in California one more day as my flight is now rerouted through Hawaii tomorrow. I will barely make it to the appointment with Haritina in Auckland. 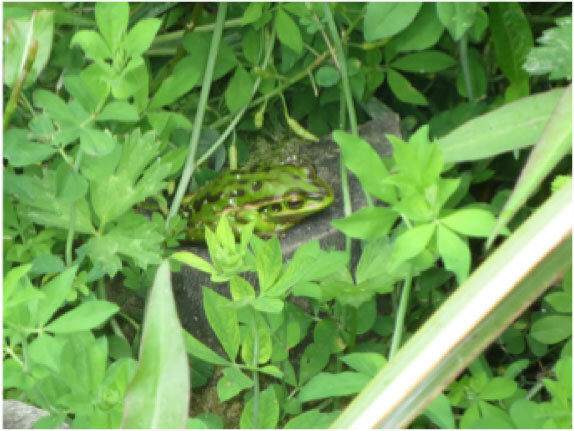 My name is Rosalba Bonaccorsi and I am an interdisciplinary environmental scientist. I have worked as an Astrobiologist at the Carl Sagan Center/SETI Institute since 2008 and with scientists at at NASA Ames Research Center since 2005. Why: To explore, learn, test, and train the new generation of space explorers and novel astrobiologists. Where/When: We will be visiting several locations in the northern Island. 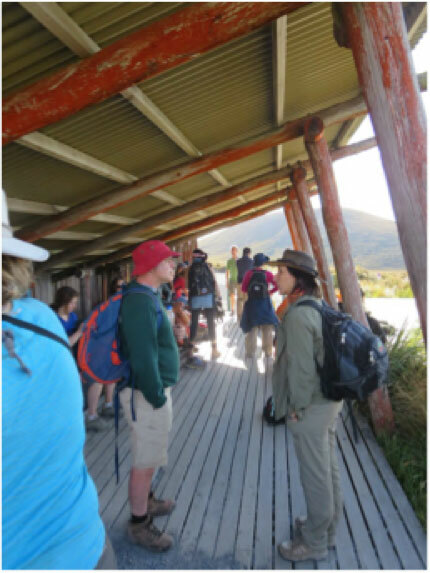 Our camp base will be at Te Takinga Marae, 402 State Highway 33.
Who: The local community, and scientists, educators, teachers and students from New Zealand, the US, Australia, and other countries for a total of 41 participants. 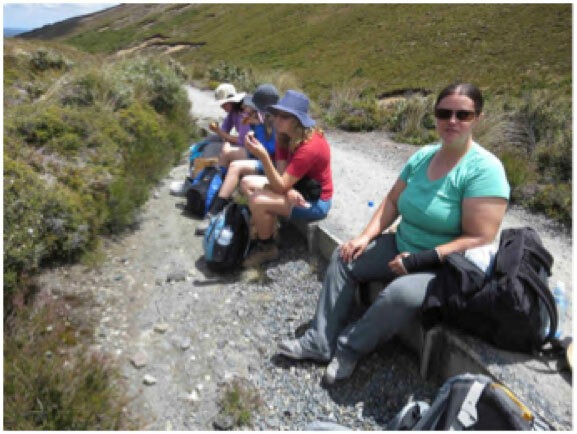 How: We are sponsored to conduct a variety of activities including field trips, outdoor and indoor experiments, geochemical analysis of collected samples, preparation of reports, lectures and interactions with media and the local Maori community. 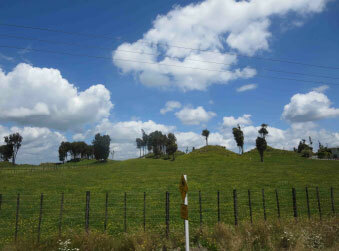 The Expedition: We will explore new places and make observations. The Science: We aim to understand habitability of planetary environments: hot, dry, acidic, minerals-laden, etc. We will look at their geochemistry (minerals, water, organics) resources to feed and support microbes and others. This will inform how we explore Mars, Moon, other places in the solar systems and exoplanets.